New Delhi: Indian economy is expected to grow at 7.2 per cent in 2018-19 against 6.7 per cent in the previous fiscal mainly due to improvement in the performance of agriculture and manufacturing sectors. Releasing the first advance estimates of National Income for 2018-19, Central Statistics Office (CSO) said, the growth in GDP during 2018-19 is estimated at 7.2 per cent as compared to the growth rate of 6.7 per cent in 2017-18. 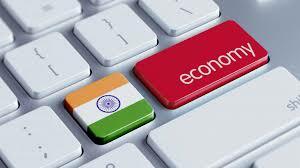 Economic Affairs Secretary Subhash Chandra Garg described the 7.2 per cent GDP growth projection as very healthy. In a series of tweets, Mr Garg said, India continued to remain the fastest growing economy in the world. He said at current prices, GDP grows by 12.3 per cent rising to 188. 41 lakh crore.